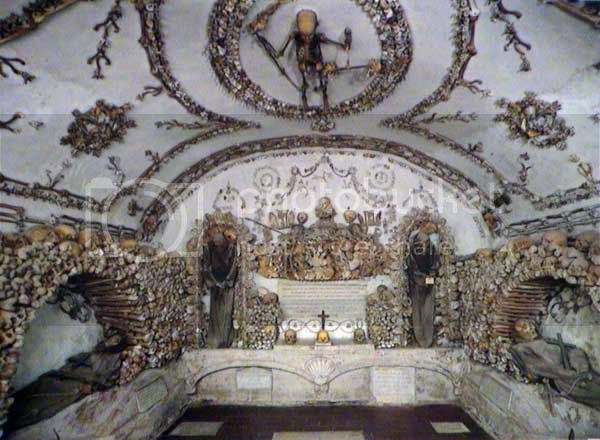 The crypt is located just under Santa Maria della Concezione, a church commissioned by Pope Urban XIII in 1626. 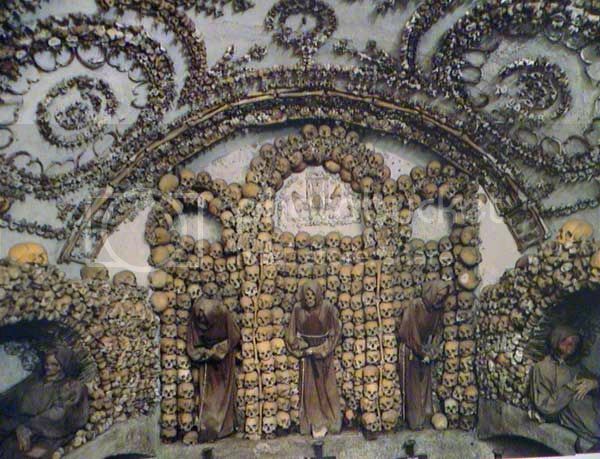 The pope's brother, Cardinal Antonio Barberini, who was of the Capuchin order, in 1631 ordered the remains of thousands of Capuchin friars exhumed and transferred from the friary Via dei Lucchesi to the crypt. The bones were arranged along the walls, and the friars began to bury their own dead here, as well as the bodies of poor Romans, whose tomb was under the floor of the present Mass chapel. Here the Capuchins would come to pray and reflect each evening before retiring for the night. 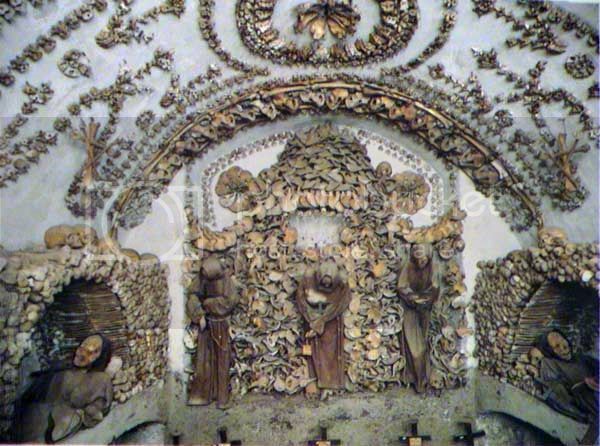 The crypt, or ossuary, now contains the remains of 4,000 friars buried between 1500-1870, during which time the Roman Catholic Church permitted burial in and under churches. The underground crypt is divided into five chapels (cappellas), lit only by dim natural light seeping in through cracks, and small fluorescent lamps. 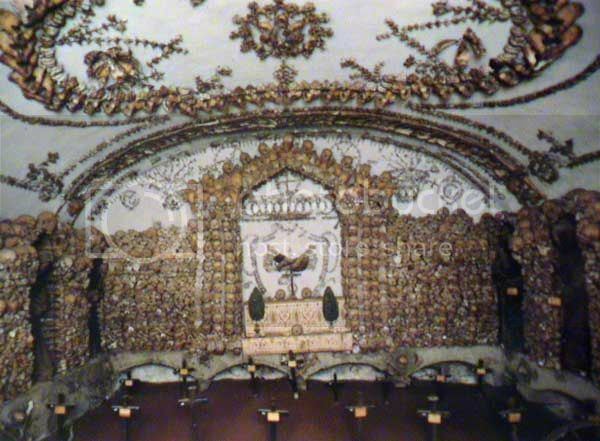 The crypt walls are decorated with the remains in fantastic fashion, making this crypt a true work of art. 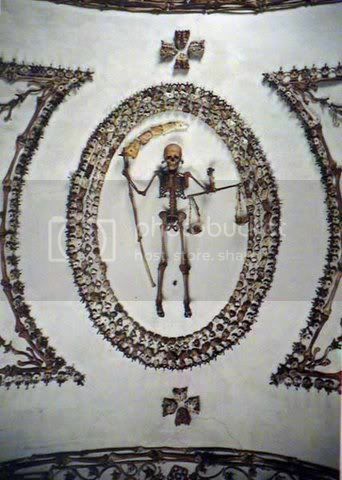 Some of the skeletons are intact and draped with Franciscan habits, but for the most part, individual bones are used to create elaborate ornamental designs. 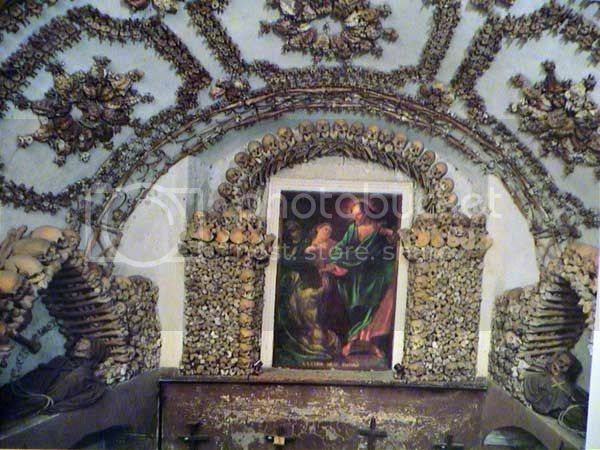 Visitors to the crypt should keep in mind the historical moment of its origins, when Christians had a rich and creative cult for their dead and great spiritual masters meditated and preached with a skull in hand.